I can't read a lick of French but very cool of L'Atalante to pass along! Here are some shots from the latest 3X3 Illustration annual. I'm very happy to announce that my covers for Taylor Anderson's Destroyermen series were accepted to be part of this years show and publication. I'm especially thrilled to have the whole series selected for inclusion and honored to have received an award of merit as well. "3x3 is the first publication devoted entirely to the art of contemporary illustration. Published in the United States and distributed worldwide, our sole interest is in sharing what’s shaping international illustration." Grab your copy (Print or digital) here! A nice little surprise when I fired up Corel Painter to start this morning… My work’s been featured on the application’s startup splash screen! ArmadilloCon 38 Programing booklet with a nice feature on both Christina & myself. Top Left: Christina's artist interview panel with John Picacio Top Right: Christina's retrospective panel. Bottom: My retrospective and image creation process lecture. Top: My work on display in the art show. Middle: My guest artist interview panel hosted by the awesome John Picacio. Bottom: Talking with my hands and being very animated about my work! Late night book cover illustration panel. Left to Right: Brad Foster, Willie Siros, Jacob Weisman, Joe Monti, & Dominick Saponaro. Here's a few shots from our recent trip to ArmadilloCon in Austin, Texas. Christina and I were invited to be this year's artist guest of honor and special guest artist respectively. You can read more about it in the previous blog post right here. Needless to say it was a weekend packed full of great conversation, panels, artwork, lectures, late night socializing, and of course BBQ. Lots and lots of BBQ! This particular convention was a bit different for us being as we were invited guests and didn't have to man a booth the entire weekend. It made for a wonderfully relaxed fun time where we could interact with attendees and fans alike in a very friendly casual atmosphere. Below is a list of people I'd like to thank for making the weekend so great. Such awesome people and an outstanding show. Thanks for making us feel so welcome! We had a lot of fun and hope to make it back to Texas again real soon. Christina and I have been invited to be this year's artist guest of honor and special guest artist respectively for the upcoming ArmadilloCon literary & arts convention. The show runs from July 29th - 31st in Austin Texas and will be host to several great programing events and workshops. I'll be participating on several panels, lecturing, discussing book covers & image creation, and even giving a demo of my painting process. I'll also have several works for sale in the art show and many exclusively priced prints in the print shop. Below is a rundown of my schedule for what's sure to be a fun filled weekend. This session will introduce all of the convention's major guests. Be sure to stay for the Meet the Pros party afterwards. How did our Artist Guests break into the field and make a career? What have they learned along the way? Our Artist Special Guest Dominick Saponaro will give a step-by-step slideshow lecture and walkthrough of his illustration process from beginning to end. What is the impact of a good cover? What makes a good cover? What do artists need to do to create covers that are beautiful and effective? Our Artist Guests demonstrate digital and hybrid art techniques and discuss ways they use them. In addition, here is a link to the full detailed schedule and you can check out the programing grid right here as well. Be sure to stop by and say hello if you'll be in attendance. I hope to see a few of you there! The fine folks over at Corel will be hosting a free online webinar where I will discuss my process and how I integrate Corel Painter into my workflow. I will be showing a slideshow of my painting process from beginning to end, in depth video of my overpainting technique using Corel Painter, and a live demo of how I bring my work to full color by painting directly on top of a previously finished black and white book cover illustration. In addition I'll also be discussing a little color theory, my thought process behind picking color, and gamut masking too! While I've had a process section on my website and videos on Youtube for sometime, this will allow me to explain and narrate my technique in much more depth. Feel free to stop on by and hit me up with any questions. I hope to see some of you there! "This extraordinary event helps raise money to support scholarships for young artists at the University of the Arts with an exhibition and sale of artwork from talented students, faculty and alumni." More information can be found here and tickets can be purchased here. The work that will be on display and for sale can be previewed in the gallery right here as well. Its always a fun AND swanky event with proceeds from sales and tickets going towards future student scholarships. I hope to see some of you there! "Masters are Talented illustrators, fine artists and photo artists who have excelled in their craft and risen to the top. This exclusive group of artists will inspire, motivate and educate other Painter enthusiasts of all levels." I've been using Painter for roughly 15 years now so this is certainly an honor to say the least. It really is an awesome program that has no comparison when it comes to replicating traditional media. I wouldn't be creating the work I do today without it. If you haven't already you can check out Corel Painter Here. It really is an awesome program! Mark your calendars! I’ll be sitting down and chatting with all around awesome art director Matthew Kalamidas for his STORYTELLERS series. We’ll be discussing my work, process, influences, and all things art related with a Q&A at the end. The webcast will be hosted by Google+ here on October 13th at 8:30PM. So if you ever wanted to ask me any questions about my artwork stop on by. Hope to see some of you there! Left to Right: Julie Dillon, Me, Frank Cho, Kristina Carroll, Dan Dos Santos, Bill Carman, Omar Rayyan, Donato Giancola. Thrilled to be included with such great company! 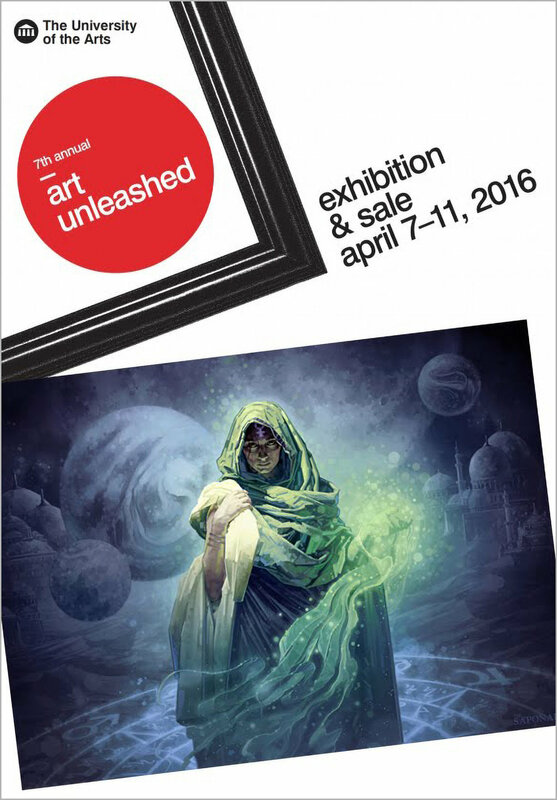 "This was our third year exhibiting at Spectrum Fantastic Art Live and it keeps getting better and better! Illustrators, designers, art directors, gallery reps and collectors alike populate workshops, lectures, panels, and live demonstrations creating a close-knit communal environment. The sense of acceptance and camaraderie is unmatched making Spectrum Fantastic Art Live THE premiere professional illustration convention we look forward to each year. Spectrum walks the walk. It really is a show about artists, by artists, for artists!" Back in May we met illustrator and all around awesome guy Jerry LoFaro (Of Celestial Seasonings fame!) while exhibiting at Spectrum Live. He asked Christina and I if we'd like to be featured in an upcoming issue of Airbrush Action for an article he was putting together on the event. Our response... Of course we did! When Jerry first approached us my initial thought was... Holy crap! That magazine is still around!? I had forgotten all about it. It was a magazine I poured over regularly while growing up in northern New Jersey. Thanks to a very supportive grandfather I was given an airbrush and often times tried recreating many of the magazine’s great tutorials. In the article Dan Dos Santos mentions his early experience with the publication which was much like mine. It was one of my first exposures to more realistic painted illustration as opposed to the pen and ink comic book style of art I was immersed in at the time. Head on out and grab a copy. It's a an excellent write up on the convention and features a ton of great images from some stellar artists and friends. It is an honor to be among such great company and I'm thrilled to be featured in a magazine that I have such fond memories of growing up with. Thanks so much for including us Jerry! Below are a some shots from Spectrum Live in May. There was a really great write up in Airbrush Action (Yes! Airbrush Action!) which I'll be posting soon. Until then, enjoy some highlights below. These are only a glimpse of the awesome weekend. Such great people and another excellent show. I only wish I took more pictures! Christina signing Women of Wonder for Carl Anderson (Check out his blog if you haven't already). Detail shot of the booth. Goñi Montes! This guy rocks! A couple of happy customers. These guys were so awesome to chat with! My booth Neighbor... Ed Binkley. Such a nice guy. AMAZING work. Loved his work for years. Our helpers... Skye Bolluyt & Michelle Lockamy. Keep an eye out for these guys. Awesome artists. The lovely Kate Irwin from Wizard's (Gah! How did we not get a picture of Richard?! ), myself, and some crazy eyed homeless guy we couldn't shake the entire weekend. The Wizards crew was the best! So much fun hanging with you guys. And of course the real reason we go to Kansas City every year. Best BBQ on the planet. Joe's Kansas City BBQ. I've posted the video walkthrough of a character design painting I demoed for my class at University of the Arts this past semester. It shows my painting technique from initial drawing on through to final painting highlighting the key tools & brushes used for each stage. Head on over to the process section of my website and check it out. Let me know what you think! Update: Links above are now fixed! Sorry about that! Check them out and don't hesitate to send me any questions. I was surprised to say the least when I found out that FOUR pieces were selected but was ecstatic when I found out which particular ones. Some of my favorite projects of late... Three for the always awesome Irene Gallo at Tor and one was for Jack Campbell's Pillars of Reality series from Audible. 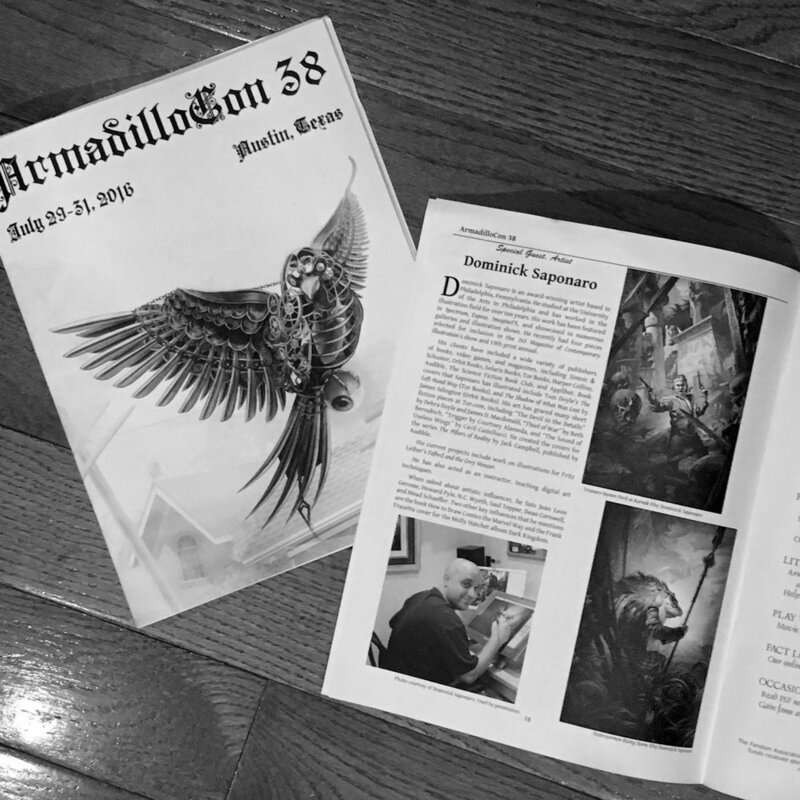 A big thank you to all of the judges Donato Giancola, Rebecca Guay, Greg Hildebrandt, & Jon Schindehette, and of course also Irene Gallo & John Henry for the opportunity to work on such cool projects. Be sure to check out Infected By Art's site. It has some really great galleries from top notch artists and is host to some awesome illustration competitions as well. Since Destroyermen: Unknown Seas was showcased at the Society of Illustrator's Spectrum show recently I've been meaning to put together a post on the series that has been so rewarding. Below is an interview I did with the art director of the series and Science Fiction Book Club, Matthew Kalamidas. Be sure to check out my posts on the Society show here & opening reception here if you haven't already. Enjoy! The four final painted covers for Taylor Anderson's Destroyermen series published by the Science Fiction Book club. Dominick Saponaro is the artist behind the cover of our August SFBC member’s catalog. It is also the original SFBC exclusive art from the latest omnibus edition in the Destroyermen series by Taylor Anderson. Dominick has created the other three covers in this series for us and I had a chance to ask him a few questions about his influences and process. MK: At what point in your life did you decide to pursue art? Can you tell us about the moment you realized that art would be your career choice? Throughout childhood and my high school years I was exposed to a wealth of illustration by way of comic books, paperback covers, illustrated classics, album art and Dungeons and Dragon’s publications. Marvel’s How to Draw Comics the Marvel Way and an old Molly Hatchet album cover by Frank Frazetta (Dark Kingdom) were probably the most influential in motivating me to draw at a young age. I also had a very encouraging high school art teacher who was an amazing artist by the name of Cheryl Hough. She was instrumental in steering me towards a degree in the arts. It was at this time that it became evident to me that there were artists who made a living from painting and or drawing for publication. I thought that it would be great to draw all day AND be paid to do so! I then continued my education after high school in the Illustration department at The University of the Arts in Philadelphia. Thumbnails sketches for the first book in the series. Establishing shot showing all three major ships from the initial books. MK: Which artists inspire you? Jean Leon Gerome: Amazing orientalist academic painter. Such exotic figures and fantastical landscapes. Howard Pyle: Father of Illustration. His Grisaille’s are masterworks of design and value control. N.C.Wyeth: If I had to pick just one, this guy would be it. He was 28 when he painted the illustrations for Treasure Island! 28! Saul Tepper: Studied under Harvey Dunn. Amazing narrative. Mead Schaeffer: One painting… The Count of Monte Cristo. Dean Cornwell: Such drama in his brushwork. So bold. Frank Frazetta: Need I say more? James Gurney: The Dinotopia series was my bible in college. I only wish I had Imaginative Realism and Color & Light back then. Greg Manchess: The hardest working AND nicest guy in illustration today! Tapped into the brandywine school with a modern sensibility. Mike Mignola: Absolute master of design and storytelling through simplicity. Destroyermen: Fire on the Water. Sketches for volume II. This time showing a little more of the human element and action from the americans POV. The series is called DestroyerMEN after-all! MK: Can you describe your artistic process? I start with many different thumbnails which explore mood, composition, design, and value. All the while trying to tweak and perfect the overall design & composition of the image in a miniature little black and white painting as close to my final vision as possible. I then move onto research & reference. I photograph models, most often using friends or family for all my figurative work. From there I move onto a quick line drawing which I will paint over. After the drawing is put down I proceed to paint a fully realized black & white underpainting building up values, form, and texture along the way. I then create a few very small color studies and continue onto the final stage which is final color glazing & overpainting. I work in a very traditional way, starting with an initial line drawing and building up from a mid ground black and white underpainting by wiping out or erasing. I then begin modeling the form with heavier more opaque brushwork. Once I have a fully realized black and white painting I do quick little tiny color studies to guide me with my palette choices. I then proceed to color on the final, building up the painting with many different transparent color glazes while still retaining the value from the black and white painting. After the painting is keyed in color wise to completion I then go in and refine the painting even further with opaque colors so as not to just have a colorized black and white image. Finally I’ll go in and make any last minute hue, value, or saturation adjustments while pushing textures and refining some of the brushwork. After the first two covers prominently highlighted the naval battles and warships, for the third cover Matthew wanted to amp up the Fantasy elements. At first I was hesitant but am very happy we went this direction. It really expanded the series quite a bit. This is what makes Matthew such a great AD. He challenges his artists to push the limits of their comfort zone and in this case resulted in a painting that far exceeded my initial idea. MK: You’ve created three other amazing pieces of illustration for this series in the past. There must be some advantages in working within a series such as your familiarity with the characters and story as well as what design elements you are expecting. What are some of the challenges? Yes, familiarity with the characters and story do help a great deal when it comes time to sit down and work on a new cover. Often times the advantage can also be the challenge though. For instance, the first cover for the Destroyermen dictated the basic jacket layout for the rest of the series going forward. 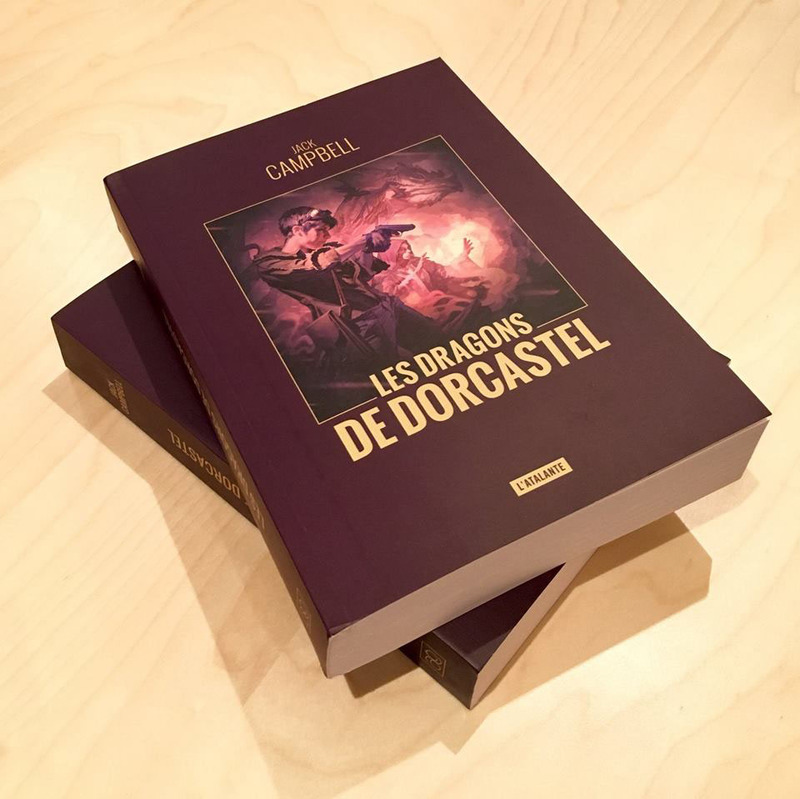 While this can be quite advantageous in that it gives me a starting point for each new painting, it is also quite challenging because the covers all have to posses their own identity while maintaining a cohesiveness throughout the series. They have to all relate visually so the reader knows it is part of the series while also being distinct at the same time. This is a very delicate balance which I start thinking about right at the initial thumbnail stage for each cover. Some additional sketches, color studies, and the final palette used for book 3 Destroyermen: Rising Storm. As I often tell my students... Prep work pays off tenfold! MK: Where else can we see your art? Some recent clients, publications my work has been featured in, and events I’ve attended: The Spectrum Art Annuals (All 3 Destroyermen covers featured! ), Expose art annual (Destroyermen 2 & 3 covers featured! ), Imagine FX, SFBC, TOR, Simon & Schuster, Various gallery shows, & conventions such as Spectrum Live. I also post recent works and news to Facebook and Twitter regularly so feel free to connect virtually. For book 4 I really wanted the cover to be from the Japanese POV. In addition we thought it might be a good idea to switch up the nautical theme with planes. Keeping in mind the SFBC's target audience I also had to push the fantasy elements even further with this one so I took out the foreground soldier and replaced with several lizard warriors from the story. MK: What do you do when you’re not painting? I enjoy visiting museums that showcase narrative works such as The Brandywine River Museum (Im only a half hour away and try to visit every couple of months. ), The Delaware Art Museum and The Philadelphia Museum of Art. In addition, I also plein air paint, lecture at local colleges, follow the Phillies, eat great food, and have even been known to enjoy a fine wine with friends every now and then. The final printed books with some nice words of encouragement from the AD. Also, Matthew and I in front of my painting for book 3 at the Society of Illustrators. Such an awesome collaboration! 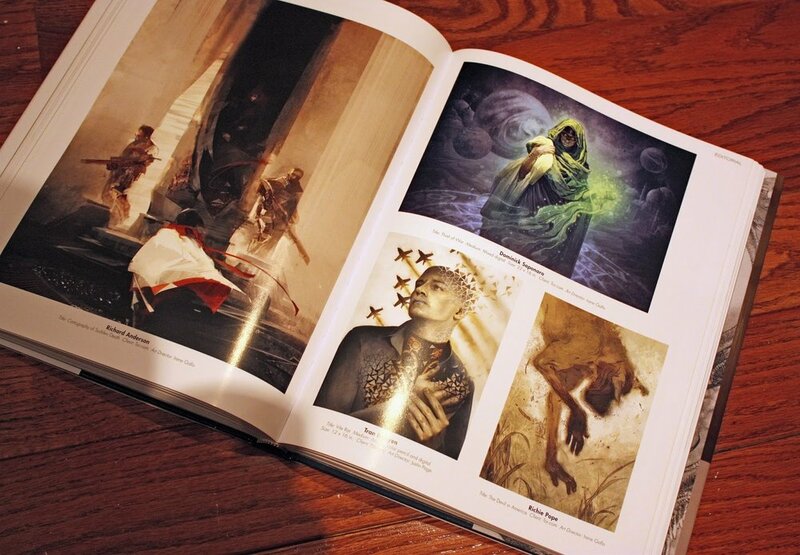 I just received my artist copy of Spectrum 21 in the mail and it is AWESOME! Beutiful pages, large images, wonderful design, a great year in review, and of course TOP NOTCH illustration. While I was sad to see the annual passed down from Cathy and Arnie Fenner it looks to be in great hands with John Flesk from Flesk publishing. Outstanding job John! I am really looking forward to what you have in store for the future. I am blown away every year by the sheer number of amazing entries that are included, so I am always grateful and consider myself extremely lucky if I get anything in at all. Imagine my surprise when I found out that THREE of my works had been chosen this year. I am honored to say the least! Now... to start getting ready for next year's call for entries! Thief of War. My first piece for Irene Gallo and Tor.com. It was so much fun to work on! I'm very happy to see it get some recognition from the art community. A nice spread of Tor.com illustrations/artists. Left Page: Richard Anderson. Top Right: Me! Bottom Left Right Page: Tran Nguyen. Bottom Right Right Page: Richie Pope. In very good company! Here again with two really awesome pieces by my friend Tyler Jacobson. So thrilled to share the page with this guy! One hell of a painter and definitely one of the nicest guys in the biz. As I am sure is the case with many artists and genre illustrators of my generation the work of George Lucas such as Star Wars and Indiana Jones has had a profound impact on my life and a substantial influence on my art. "Mr. Lucas saw your piece 'Swashbuckle Dom' in the publication EXPOSÉ 10, and thought it would be an excellent example of digital illustration to showcase..."
I was stunned to say the least. It was an email from the manager of the Lucas Research Library at Lucasfilm's Skywalker Ranch requesting to use my painting “Swashbuckle Dom” on the Lucas Museum of Narrative Arts website. The Lucas Museum of Narrative Art is a non-profit organization for arts and cinema education founded by George Lucas. The Museum is currently in its planning stages, and is proposed to open in Chicago in 2018. They are using the website as a way to inform the public about the Museum and kinds of work that will be showcased there. The Lucas Museum of Narrative Art will feature artwork from the Golden Age of Illustration, landmark achievements in filmmaking and cinematic design, and groundbreaking digital art. I am thrilled to be a part. Not only because a childhood hero and major influence took notice of my work but because of the actual museum itself. I have been following its development from the initial press release and the vision of collected works looks to be downright amazing. I can not wait for its opening and am thrilled to be associated with such an awesome mecca of historical illustration, cinema, and art! You can check out my work in the featured Digital Art section here. Here are some shots from the Society of Illustrators Spectrum exhibit opening reception in New York last month. It was an honor to be included and most definitely a career highlight. Hopefully one of many to come! Be sure to check out this show. It runs until October 18th and is downright incredible. You can check out my previous post on it here or head on over to the Society's info page here. In good company. It was certainly an honor to hang next to such amazing artists. Art director Matthew Kalamidas and me in front of my painting. This is the guy that really deserves the credit. An awesome art director that knows how to get the best out of his artists! The lovely Christina Hess and Irene Gallo of Tor Books. Another amazing art director and chair of the exhibition. Me and Greg Manchess. The hardest working AND nicest guy in illustration today! Can't thank him enough. Cathy Fenner of Spectrum & Kinuko Craft. I've admired Kinuko's work since college so it was certainly an honor to have my painting hang next to hers. A great night and definitely a highlight in my career so far. Im very excited to share the great news that I will have work in the upcoming Society of Illustrators Spectrum Exhibition this coming Fall. Approximately only 100 works (spanning all categories and media) were selected from the last five years of published Spectrum annuals for inclusion. The show runs from September 2, 2014 to October 18, 2014 with an opening reception on Friday September 12th at 6:30PM. I am always thrilled and surprised if and when my work is chosen for inclusion in the published annual each year, but with this being a culmination of the last five I am honored to say the least. A HUGE thank you to the curators Irene Gallo, Greg Manchess, and Arnie & Cathy Fenner. For more info on the show head on over to the Society's info page here. Last Friday, August 8th the fine folks over at the Philadelphia Science Fiction Society were kind enough to invite me for a lecture/panel on my work, process, and current state of illustration today as it relates to the science fiction & fantasy genre in popular culture. For more than a century, International House Philadelphia has served the scholars of the world and the Greater Philadelphia community by providing engaging residential services and compelling arts and humanities programming, welcoming hundreds of thousands of people through its doors in the process. What began here more than 100 years ago as a belief that international understanding, cooperation, and friendship can develop one person at a time, has emerged as a celebrated world-wide movement. Moving from the past and into the present, IHP is a thriving hub of activity: a home to hundreds of students and interns throughout the year, a destination for world-class arts and cultural programming, a facility for large-scale events, and a partner with many regional organizations, foundations, institutions, and businesses. It was quite an eventful night with plenty of great discussion, interesting conversations, and fun had by all. The best part... even a few of my students and recent graduates showed up to hear me speak... Thanks for stopping by guys! A packed house... I swear the woman in the front is wide awake, just leaning back to get comfortable! Some of my students that showed up. And in the middle of the Summer too! So awesome. Opening slide. My Time Roads cover for Tor Books. I keep telling myself its lens distortion... There is no way my melon is that big. Also note the Awesome Manchess painting on my screen. I believe I was discussing my modern influences here. And finally a shot from the back of the lecture hall. To the far right... another dedicated student sacrificing their Friday night to show their support! Some shots from this years Spectrum Fantastic Art Live III. Had such a great time and so glad we doubled up the booth. We're already planning for next year! Joined booths this year! Christina & I right before the doors opened. The back wall of my booth with banner and postcard take aways. The two interior walls. Basically my portfolio framed and hung with postcard take aways and prints for sale. Christina Hess next to her Animals from History banner. Taking a break on Christina's side. Note the blank spaces... Hess sold a ton of originals! Next to my Destroyermen Painting. My print wall and Destroyermen III banner. Trying to play it cool! Another shot of me in my booth. And finally... The real reason we drive over 18 hours to Kansas City MO. Seriously. The best BBQ on the planet. Yes it is in KANSAS CITY and it's called OKLAHOMA Joe's!